Every journalist covering cryptocurrency or blockchain needs to have a statement, right there on the page, of their holdings and positions in cryptos or blockchain companies. A few do. (Mine’s at the bottom of this page.) Most don’t, but should. Why don’t you ask them? Bitcoin’s reprehensible power waste totally advances renewable energy! Just never mind that Bitmain is deploying 90,000 Antminers to “coal-rich” Xinjiang and Inner Mongolia for the Bitcoin Cash split (original report). Or that Jihan Wu is personally responsible for 0.1-0.5% of all electricity use on Earth. US regulation isn’t just the SEC and CFTC — there’s fifty state regulators to comply with. Colorado just took out twelve dodgy ICOs. The best thing about the crypto exchange business is the customers like Jermu Michael Salonen — who sent a letter bomb to his exchange, Cryptopay, because they wouldn’t do a password reset for him via email. I’m shocked, shocked to hear that Pure Bit, an ICO to start a crypto exchange in Korea, just exit-scammed with 13,000 ETH. You can’t even trust a nice Bootstrap-based website design these days. Bitfinex’s banking arrangements are fine — so long as you don’t try to get your money out. Withdrawals are a weeks-long struggle. There’s now a 3% fee on “more than 2 fiat withdrawals in any thirty day period, and/or more than $1M in aggregate in fiat withdrawals in any thirty day period.” You’ll be pleased to hear that Bitfinex will keep defending against “sustained and co-ordinated attacks from powerful forces attempting to harm global cryptocurrency markets.” You know — FinCEN. But the crypto market crashing and burning like a pile of unwanted trash will actually be good news for Bitcoin, and … “A price collapse doesn’t have to herald the end of a technology or its relevance,” says Tyler Cowen —though this assumes the technology has a relevance, and not just masses of hype. 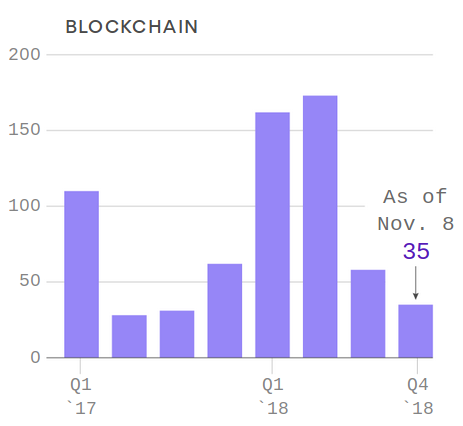 Axios measured the decline of “blockchain” as a corporate buzzword by counting how often it’s been mentioned in S&P 500 companies’ investor calls in the past couple of years. This echoes the recent Forrester report. RCN is now offering cryptocurrency mortgages on virtual land in Decentraland, a game that’s sort of Second Life, but on the blockchain. 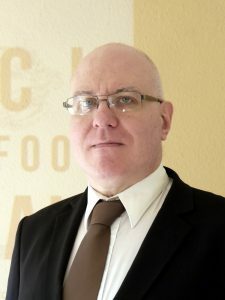 David Z. Morris remembers the 2008 financial crisis — you know, the one that Satoshi Nakamoto put a message about in the Bitcoin genesis block — and coughs up his own skull in horror. The Winklevoss suit against Charlie Shrem is not going so great. In particular, Stephen Palley thinks they may have annoyed their judge. This is a press release, but I’m trying to see the use case for multiple stablecoins as a product. The purpose of stablecoins is (1) dollars for exchanges too shonky to get banking (2) evading anti-money-laundering regulations (3) arbitraging minor altcoins … what do multiple dollar-substitutes get you? Once you’ve got a few that are less obviously problematic than Tether, of course. Step 1. Have the money before printing tokens. Shell Global Inside Energy: Blockchain: hype or hope? With a quote from me. I’ll hopefully be doing a podcast with them next month as well. 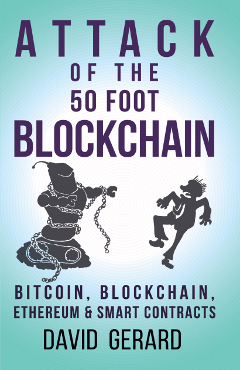 A nice review of Attack of the 50 Foot Blockchain by Ilya Kleyner, of London Blockchain Labs. I’m going to be on Matthew Aaron’s Crypto 101 podcast — going through Attack of the 50 Foot Blockchain. Should be out this week. @KodakOne hey anyone at kodakone OR your saft platform Cointopia respond to emails? over a month since i registered and still says this "Thank you for your commitment. An email will be sent with instructions on how to transfer funds as soon as the allocation has been approved.